You have probably heard of the Nest Thermostat, a clever device that not only remotely controls heating, it also learns your habits and will automatically change the temperature of each room depending on time of day, season or whether your home. Last Autumn, Apple announced they would be launching HomeKit, a new way to automate your home by creating a common language that smart devices from any manufacturer can understand and support. It’ll even work with Siri! The big question is, which is better? We’ve taken a look to see the features that each will have and the devices that are compatible with them. As you can see from the table above, there isn’t a lot in it, but it seems the Apple HomeKit may just be gaining a lead with its abilities. The Nest is a great bit of kit that aims to help you save energy throughout your home, whereas the HomeKit seems to be heading down a route of complete home automation. That being said the Nest, which was recently acquired by Google, is moving in the same direction as the HomeKit, which is relatively new to the market. As we all increase our usage on mobile technology, it seems like a natural progression that we start controlling our homes from them too. 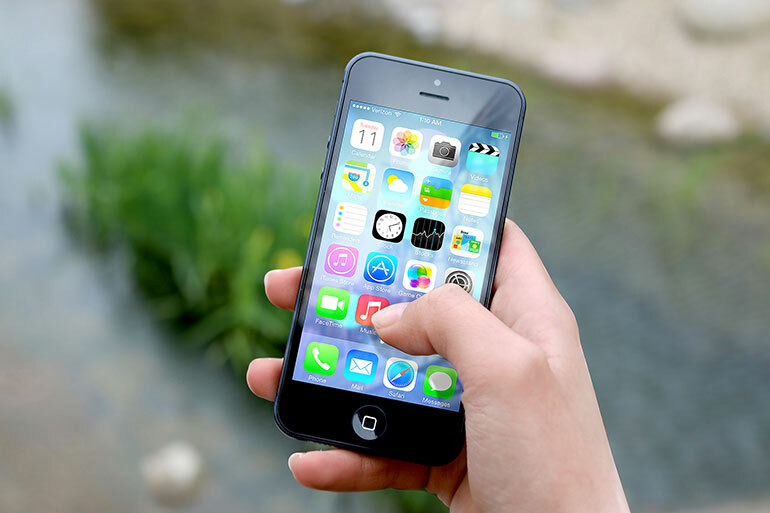 One study by mobileinsurance.com found that we spend an average of 90 minutes per day on our mobile phones – that’s 3.9 years of an average life spent checking social media, gaming or browsing the web. With this in mind, it looks as though the HomeKit will run mainly through Apple products with all devices and appliances for HomeKit having to go through the strict Made For iPhone guidelines. The Nest, however, will work across any make of mobile or tablet, which may appeal to more people. If you’re thinking about investing in one of these cool gadgets that will genuinely help you use less energy, here’s some of the compatible devices that accompany the HomeKit and Nest and what they can do in your home. Elgato – sensors are designed to track energy consumption, air quality, temperature, humidity and water consumption. Ecobee – an intelligent thermostat designed to help you save money – it knows when you’re home, learns habits and you can create groups for it. It’s voice activated and works with the iWatch too. Lutron – is a smart device for you to control lights. Helps you save energy and set the mood. Insteon – superb tool that controls cameras, switches sensors and lights, even door locks all via an app. It also allows for scheduling too. You can control it all from home or when away. Philips Hue – This technology has been around for a while, controlling the lighting in your home. Chamberlain MyQ Garage – close your garage door from anywhere. Friday smart lock – allows you to lock and open doors at the click of a button on your smart phone. It also notifies you if someone attempts to tamper with the lock. Haier – are creating smart appliances such as fridges, washing machines, tumble dryers and dishwashers. Nest thermostat – controls temperature and partners up with other devices and appliances to give you complete control of your home. August Smart Lock – changes temp when you get home or turns heating off when you lock door on way out. Kevo Smart lock – An alternative to the above. LIFX – personalise the lighting for each room, set the scene and schedule the lights to come on when your away. Zuli Smartplugs – connect them to appliances and control them from your phone. They also know which room you’re in & set temperature to how you like it. Ooma Telo – this will forward calls when the Nest knows you’re away from home. DriveStyle App – Mercedes Benz have the Nest functions built into an app compatible with their cars, so it knows when you’re nearly home and will set the temperature to your ideal. Nest Protect – a clever smoke detector that warns you of smoke & can turn on sprinklers if there’s a fire. It will even talk to you to tell you the alarm is about to go off just in case you have forgotten about the toast. Insteon – as above, great app and compatible with the Nest too! There isn’t a lot in it between these two great bits of tech, which one you choose would be based on your requirements and what you’d use. Don’t get it just because you can, get it because it will be useful and help you save energy. This battle is in its infancy, but in the future, our homes will probably be run off either the Apple HomeKit or the Nest. 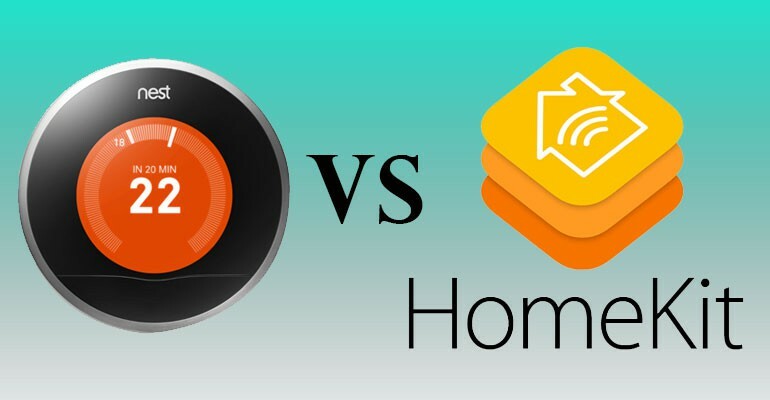 Have you got the Nest or the HomeKit? If so, we’d love to hear what you think of it! Contact us through our Facebook page or comment in the section below.